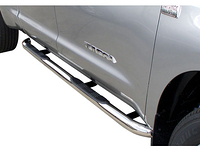 Aries Automotive's 4 inch Oval Black Powder Coated Nerf Bars are built tough with a durable finish and great looks. 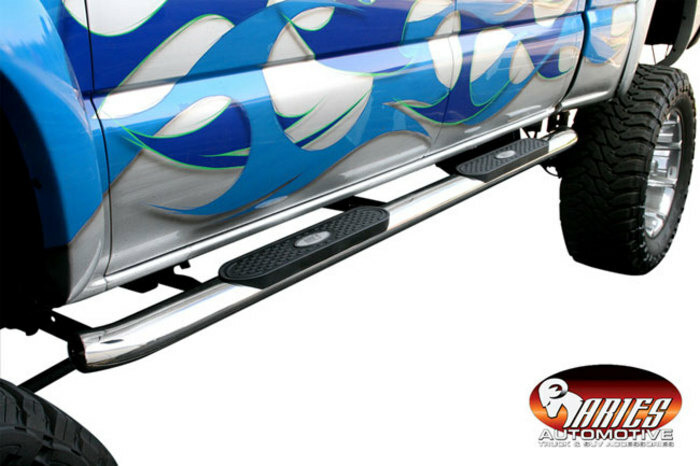 Made from a heavy walled 4 inch steel tube, each bar will mount easily with no holes to drill. 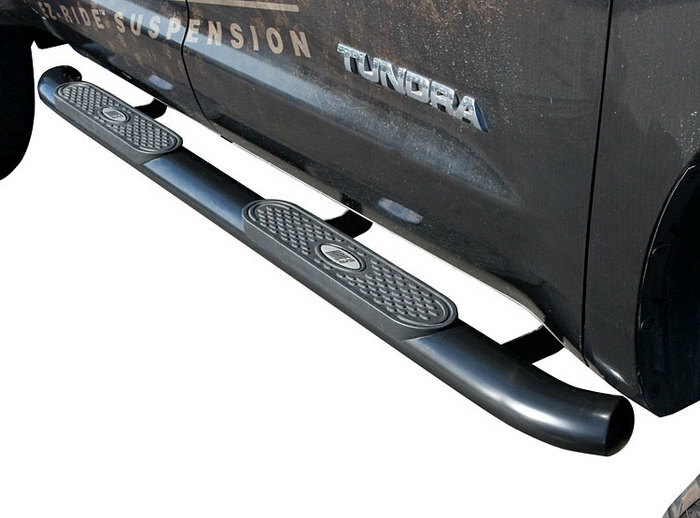 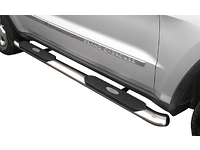 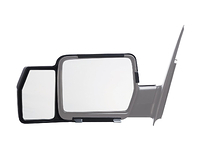 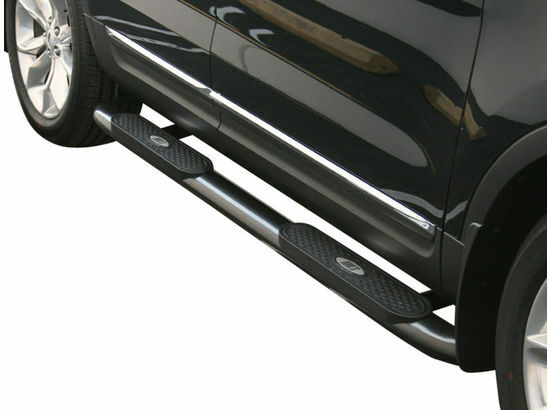 Ideal for tall or lifted trucks and suvs, these nerf bars use raised non-skid step pads which give you a sturdy place to put your feet. 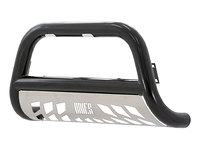 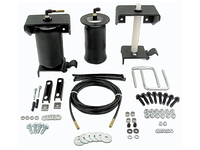 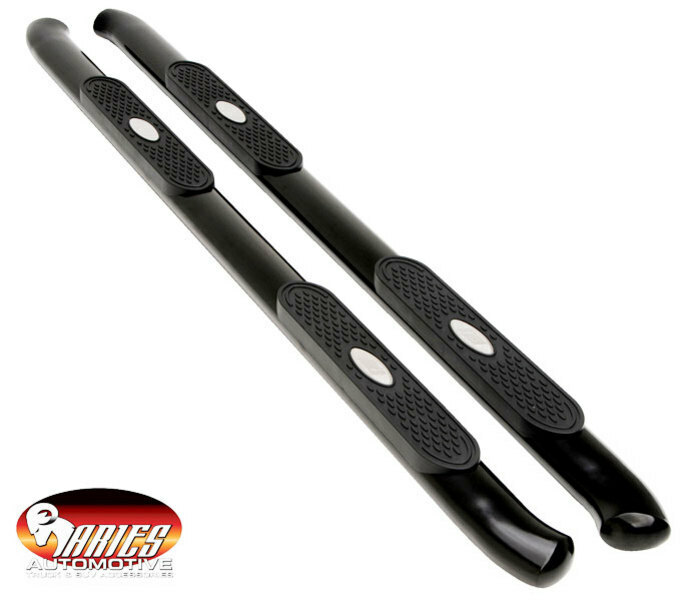 These Aries nerf bars use a heavy black powder coating for a very durable finish to protect from road debris.